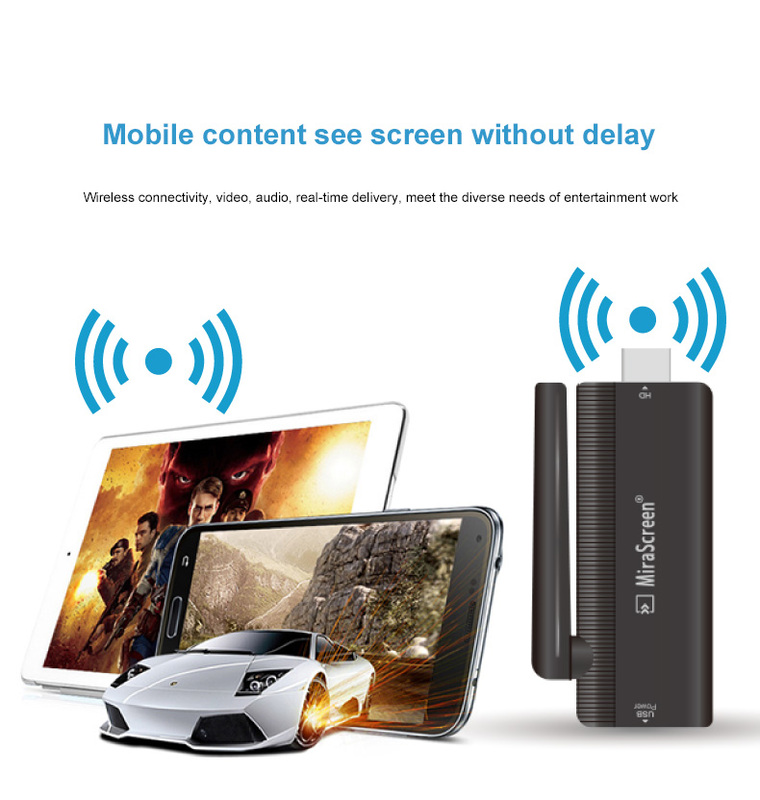 The 2.4 G WiFi Display Receiver can enlarge mobile phone , tablet PC, notebook to another big screen devices through WiFi technology and mirror to bigger screen like TV or projector. Support Airplay, DLNA and Miracast standards and support most smart devices and provide cross-platform compatibility with latest OS version. Fully support 1920 x 1080p resolution, providing you pixel-to-pixel display. You can wireless display in business meeting, watch movies in your private room and play games on the big screen.